Chas and Dave star Chas Hodges has been described as a “legend” and a “lovely, lovely gentleman” as stars paid tribute to the singer following his death aged 74. The music star died in his sleep on Saturday morning from organ failure after a battle with cancer, a tweet from the musical duo’s Twitter account said. Comedian Sir Lenny Henry was among those paying tribute to Hodges, who was best known for his long lasting musical partnership with Dave Peacock. Retired boxer Frank Bruno tweeted: “ChasHodges RIP worked with Chas & Dave loads of times in the 1980’s and had a good laugh with them every time. TV presenter Paddy McGuinness said he was a big fan of Chas and Dave, despite being from the North. “RIP Chas Hodges. Chas and Dave were always on the telly when I was a nipper, they’re cockney through and through but we also loved them in the North,” McGuinness tweeted. Bucks Fizz star Cheryl Baker said she was “absolutely heartbroken” to hear of Hodges’s death. 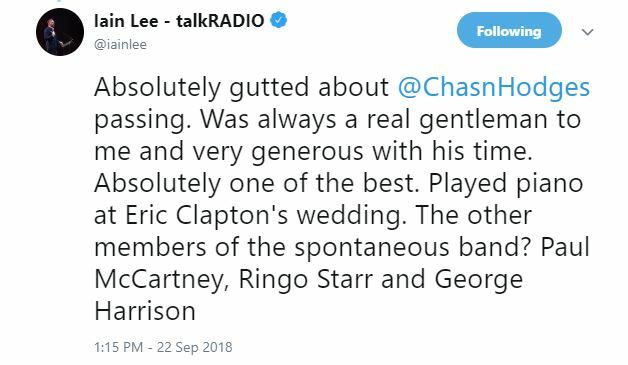 Radio DJ and TV presenter Iain Lee tweeted: “Absolutely gutted about @ChasnHodges passing. The official Twitter account for Tottenham Hotspur Football Club – of which Hodges was an outspoken supporter – posted: “Everyone at the Club is deeply saddened to hear of the passing of one of our own, Chas Hodges. 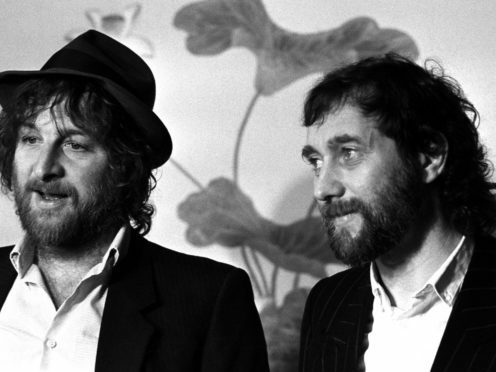 Chas and Dave were responsible for four FA Cup singles for the football club, including Ossie’s Dream (Spurs Are On Their Way To Wembley) in 1981. Chas and Dave, who formed in the 1970s, had a string of popular hits in their “rockney” style, including Rabbit, Snooker Loopy and Gertcha.